Baden Lodge is located in the heart of Rotorua central to shopping, cafes, restaurants, golf courses and close to all attractions and geothermal parks. Easy to find and direct access to and from the Rotorua International Airport. Ideal location for exploring the Bay of Plenty. Smart casual bistro 2 min walk from Baden Lodge. 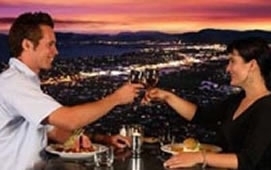 Enjoy the best views of Rotorua.